WorldMovieStore - Bond 50 Sinopsis. Collectible box-set featuring all 22 James Bond films on Blu-ray Disc for the first time in one complete offering. Content (23 discs). 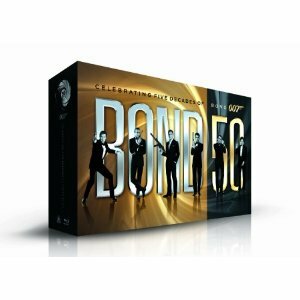 Collection includes all 22 James Bond feature films from Dr. No to Quantum of Solace and more than 130 hours of bonus features including never-before-seen content from the Bond archives 1 disc of brand new bonus content. Read More Sinopsis. 0 Response to "Blu-ray Release Bond 50"